Why Would I Need Root Canal Therapy in Ocala? Root canals have quite a reputation in dentistry, but they are a common restorative procedure your dentist may recommend for a tooth that is severely decayed or injured but can still be rescued. Believe it or not, if you need root canal therapy in Ocala, that’s actually a reason for celebration — it means your complete smile will remain intact. Keep reading to find out why this procedure is usually needed, and why it is preferred over extraction. Root canal therapy falls under a branch of dentistry called endodontics. With this method, your dentist can remove all infected tissue from the interior of the affected tooth and apply a sturdy restoration to renew its strength and appearance. Most root canals are completed over the course of two visits to the dentist’s office. 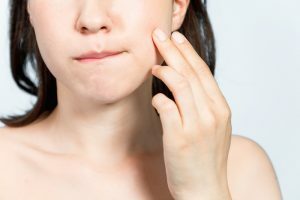 While this procedure has the reputation of being painful or something to dread, thanks to modern materials and options in anesthesia you are unlikely to feel any pain or discomfort during a root canal. Root canal therapy is needed when a damaged or infected tooth cannot be repaired with a filling or dental crown alone. Once decay and/or injury have reached the interior of the tooth, known as the pulp (or nerve), a root canal is often the recommendation. Do not hesitate to get in touch with your dentist if you experience any of these symptoms. An infected tooth will not get better on its own, and seeking treatment will help to keep the infection from spreading throughout the body. Once a tooth is so damaged that root canal is recommended, the alternative treatment may be extraction, or total removal of the tooth. However, the aim of conservative dentistry is to keep your natural tooth structure whenever possible. Dental implants may provide a very good replacement for missing teeth, but it is always preferable to avoid extraction. A successful root canal will help you keep your tooth for many years, reducing the associated risks of tooth loss and allowing you to smile with complete confidence. Now that you know a little more about root canals, don’t hesitate to get in touch with your dentist to discuss more! This treatment is highly effective in helping to protect your strong, beautiful, long-lasting smile. Dr. Daniel Weldon is a general dentist providing comprehensive dental care, including endodontic therapy, for patients of all ages. To learn more about his services or to schedule an appointment with your dentist in Ocala, you are invited to contact the office at 352-622-3236. Comments Off on Why Would I Need Root Canal Therapy in Ocala?